The university became popular early in Al-Qarawiyyin’s history. Students sat at the feet of the scholar, answering questions about texts. Famous alumni include 13th/14th-century theologian Ibn al-Haj al-Abdari and 16th-century historian and diplomat Leo Africanus. Others who are said to have had connections to the madrasa were two 12th-century scholars—Maimonides, famed Jewish philosopher and legal scholar and geographer Muhammad al-Idrisi, who created one of the most accurate pre-modern maps. In the 16th century, Flemish professor Nicolas Cleynaerts travelled there to perfect his Arabic. 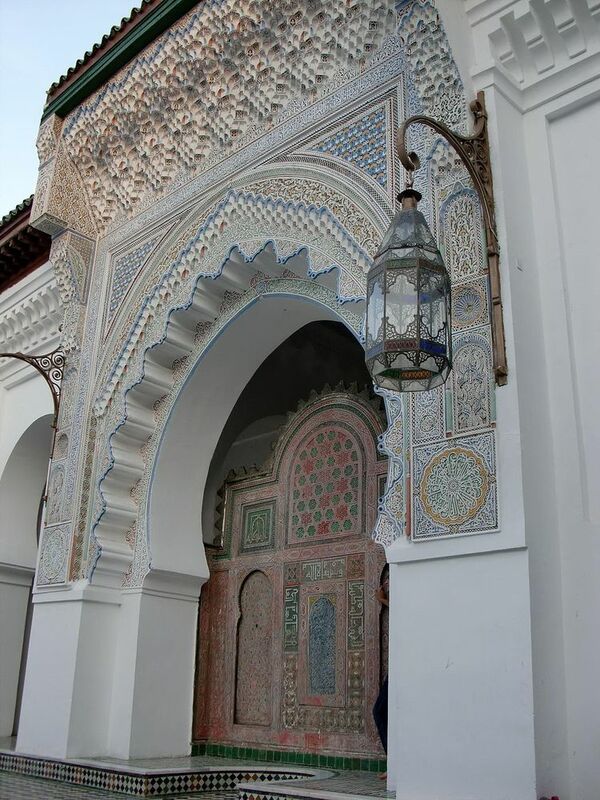 In the heart of the Fez Medina is one of the largest mosques in Africa, as well what many consider the world’s oldest operating university. 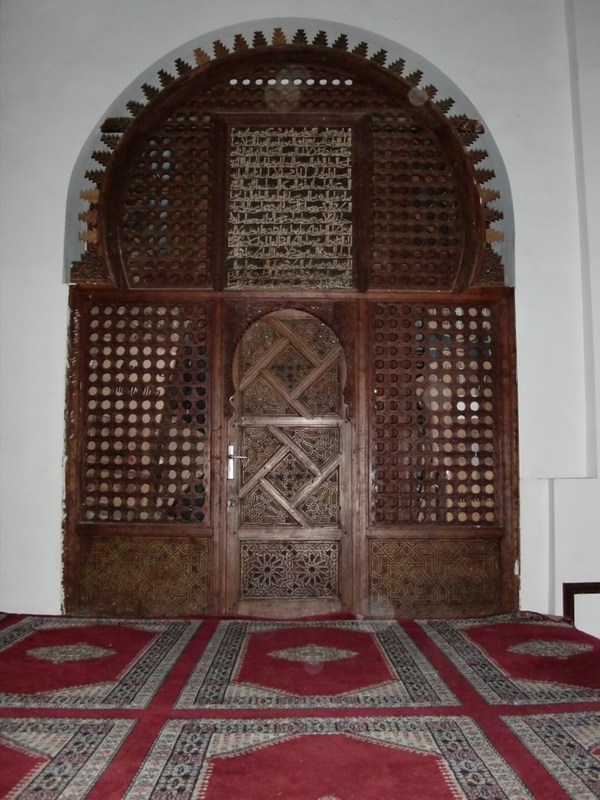 Al-Qarawiyyin (also known as Al Quaraouiyine or Al-Karaouine) was established in 859 C.E. by Fatima Al-Fihri, the daughter of a rich merchant. 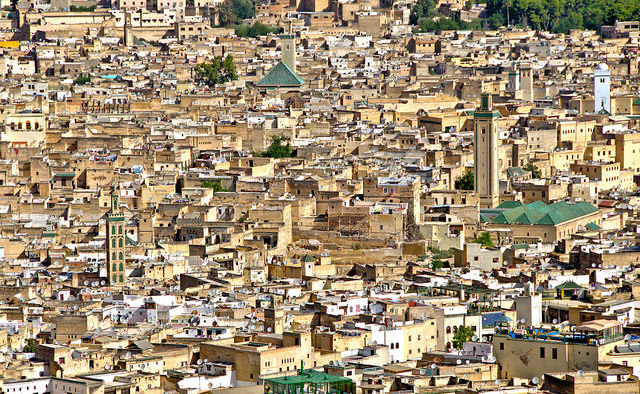 She and her family had migrated from the Tunisian city of Kairouan, about 1464 miles east of Fez. After her father died, Fatima and her sister Maryam inherited a large amount of money. Fatima decided to establish a place of religion and religious education, naming it after their hometown. 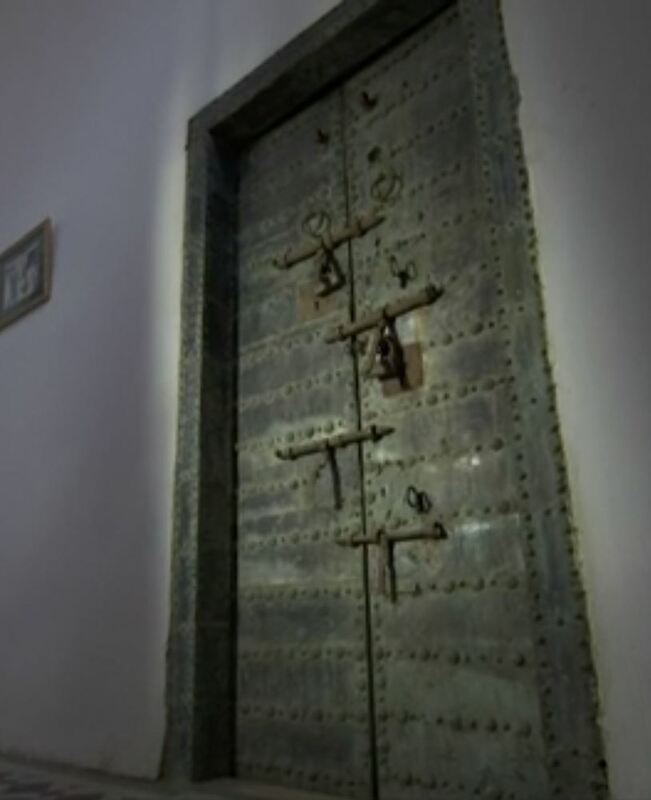 Within two years, her mosque and madrasa, or Islamic college, was finished. It became a place of political discussion and expanded to teach mathematics and the sciences. 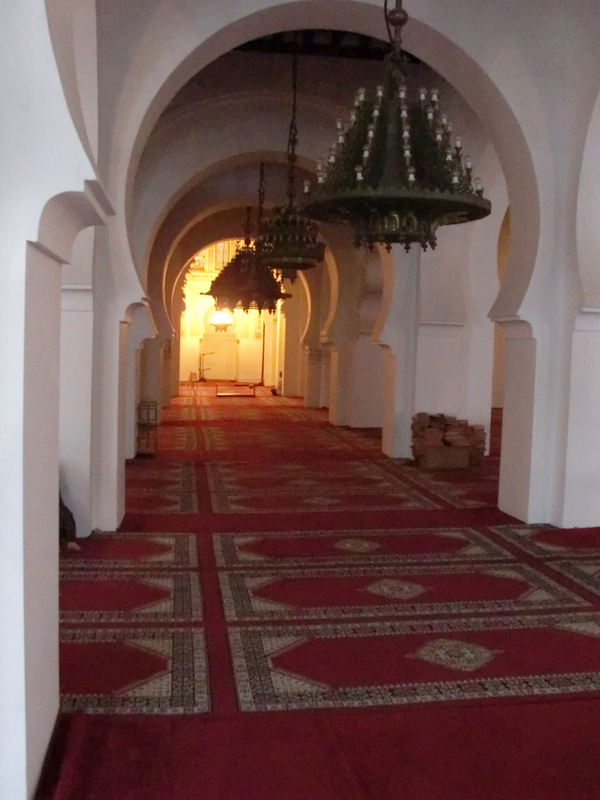 The original mosque was relatively small—just 98 feet long. In the 10th century, it expanded considerably, its square-shaped minaret becoming a trend-setter. 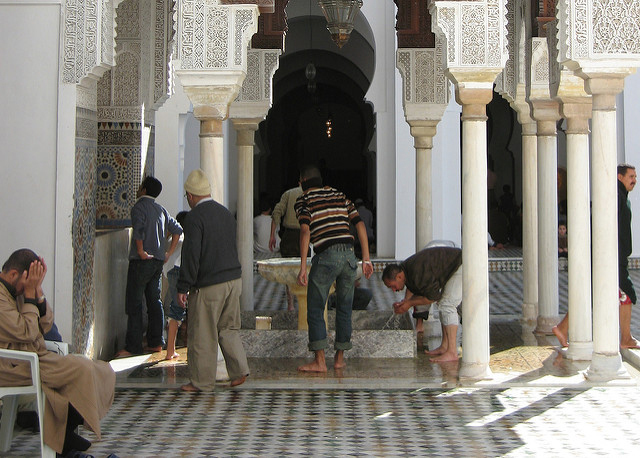 The mosque’s appearance today was set in the 12th century under the Almoravid dynasty, whose Moroccan-based empire extended to Spain and Portugal (al-Andulus): 21 aisles, muqarbas (the medieval Western Islamic equivalent of muqarnas) or honeycomb/stalactite/cell vaults, horseshoe arches, and inscriptions on the ijmiz, the rectangles that surround the arches. 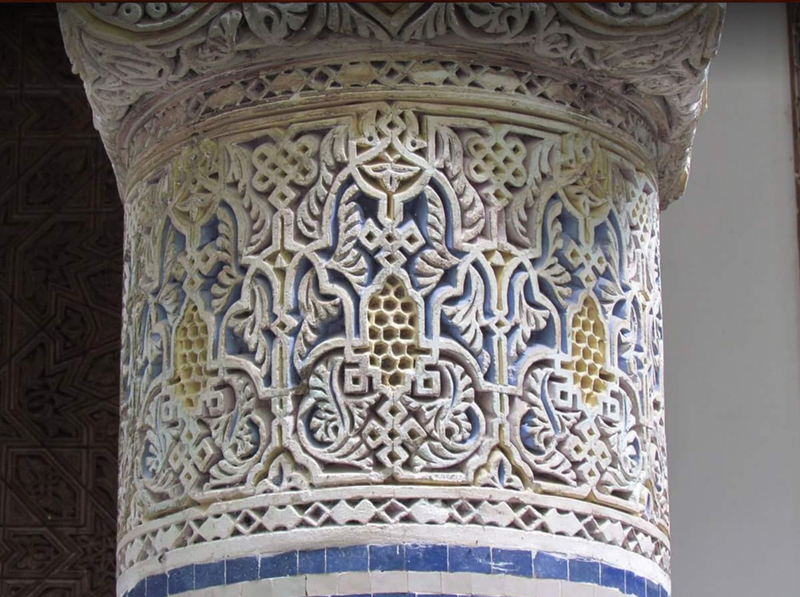 The muqarbas includes the Almoravid motif of an eight-petalled flower enclosed by an eight-point star within an octagon, just one aspect of the region’s fascination with geometric relationships. Two styles of calligraphy are present: complex floriated Kufic script and the new and still somewhat clumsy cursive style. This latter emulated the writing used in Baghdad, the caliphate the Almoravids venerated and from which they derived legitimacy, and was probably transmitted via the extensive correspondence exchanged between the polities. 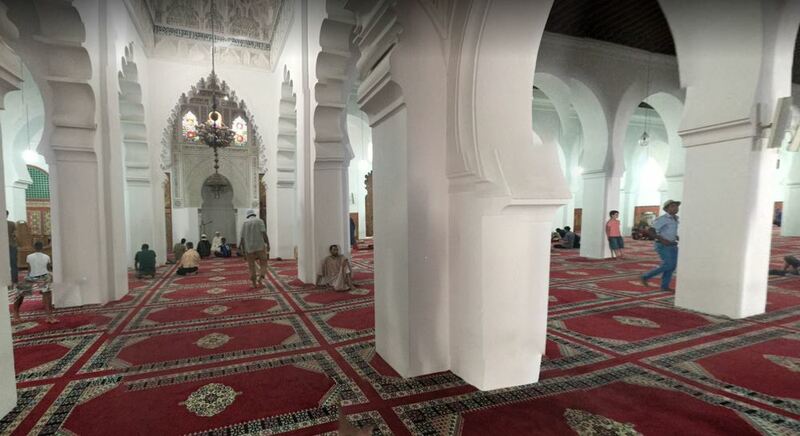 Additional changes in the mosque took place in subsequent centuries. The most significant took place in the courtyard. Its blue and white tile floor, marble ablutions fountain, and its two fountain pavilions, positioned like those of the Andalusian Alhambra’s late 14th-century Court of the Lions, were added in the early 17th century. The mosque’s exterior is unassuming, except for its tall minaret and its green-tiled roof, created as a series of gabled rows. 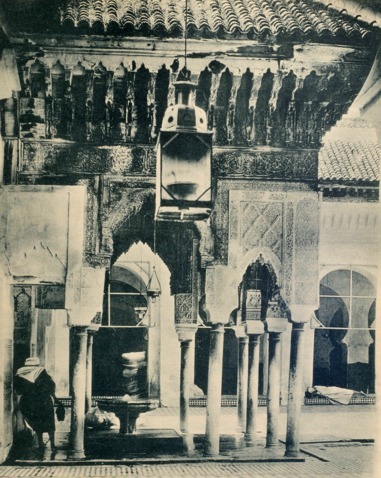 The interior, however, includes intricate wooden, plaster, and marble carvings, as well as zellij tile decorations, helped create a heavenly shift from the busy markets that surrounded it, and the courtyard and its fountains alluded to paradise, as did water-filled features elsewhere in medieval Islamic states. 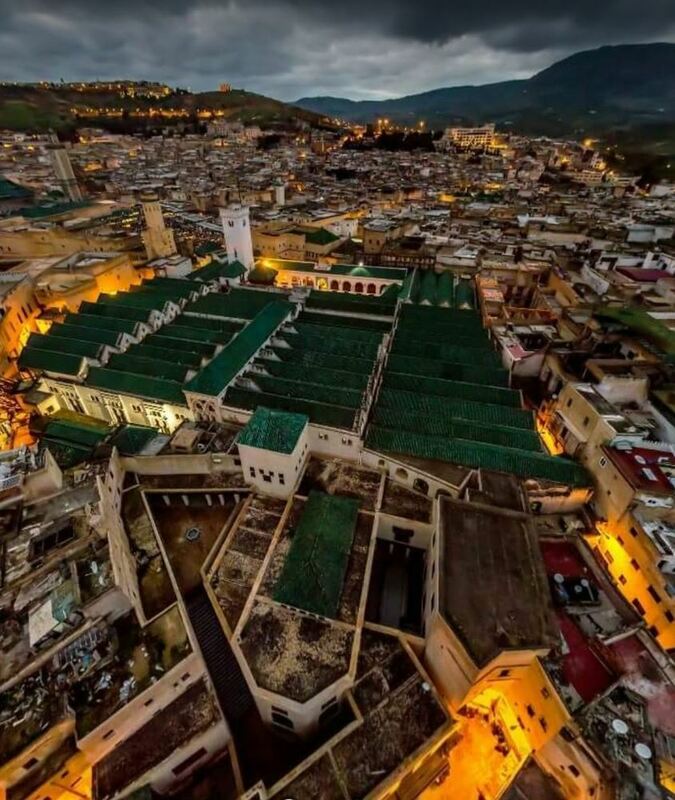 Because Al-Qarawiyyin is in the Medina quarter of Fes, it is part of a World Heritage site, and must be maintained to keep its integrity. 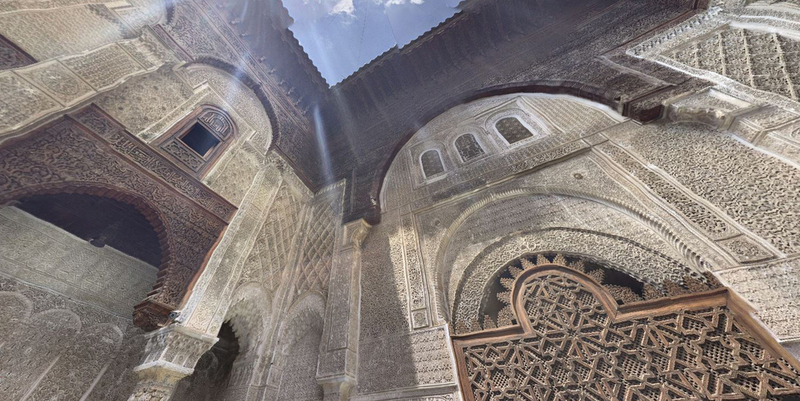 In 2008, architect Mohammed Fikri Benabdallah completed the restoration of the mosque, an effort that culminated in his nomination for the 2010 Aga Khan Award for Architecture. Sultans bestowed gifts upon the university, enabling the creation of a vast library that drew many students and scholars. 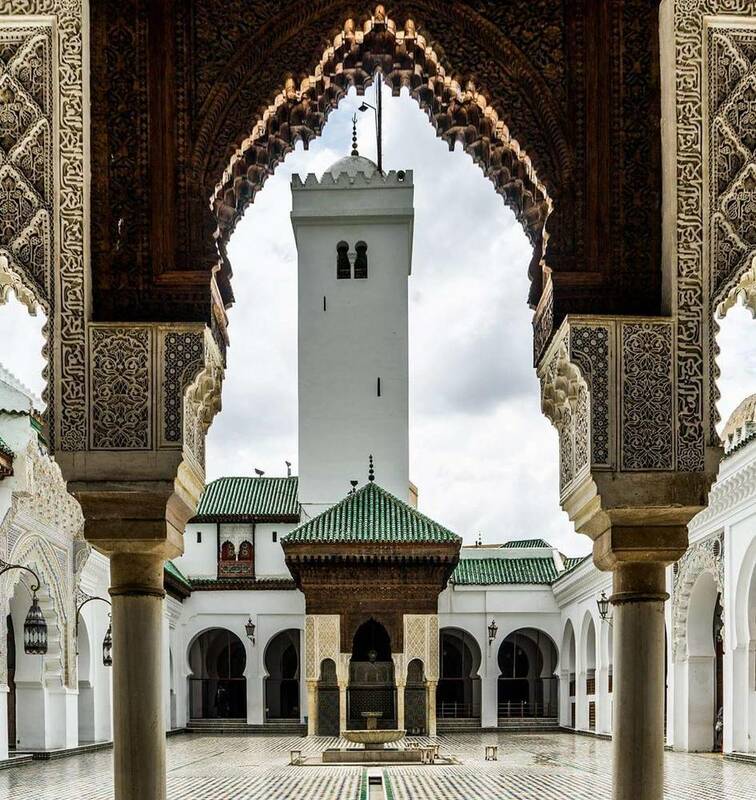 The world’s oldest working library, its contents consist of four thousand manuscripts, including a 9th-century Quran and an original copy of Ibn Khaldun’s influential 14th-century Muqadimmah, a critical examination of history using political and economic viewpoints. 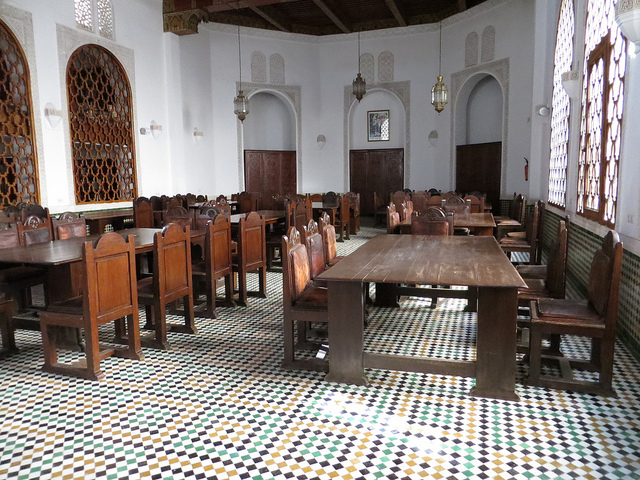 In 2012, the library the Canadian-Moroccan architect Aziz Chaouni was awarded the project of renovating the library according to a four-year plan. When she first entered, the library was in disarray, with damage to the floors and even a fallen chandelier. What concerned her most was the state of the manuscripts. Chaouni created a humidity and temperature control room. She also added a new gutter system to prevent further water damage to the building, as well as air conditioning and solar panels, and the library reopened in 2016. 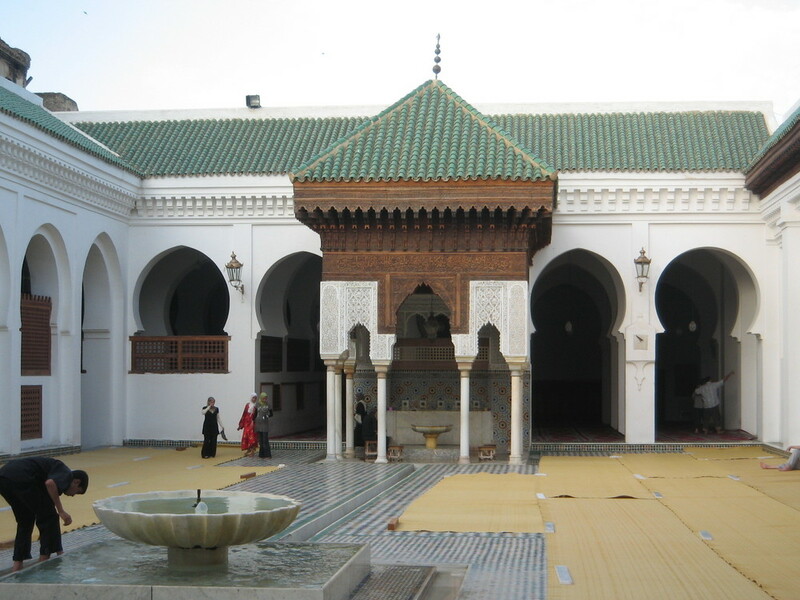 Even in the past, the attraction of both mosque and university outstripped Al-Qarawiyyin’s ability to accommodate students. 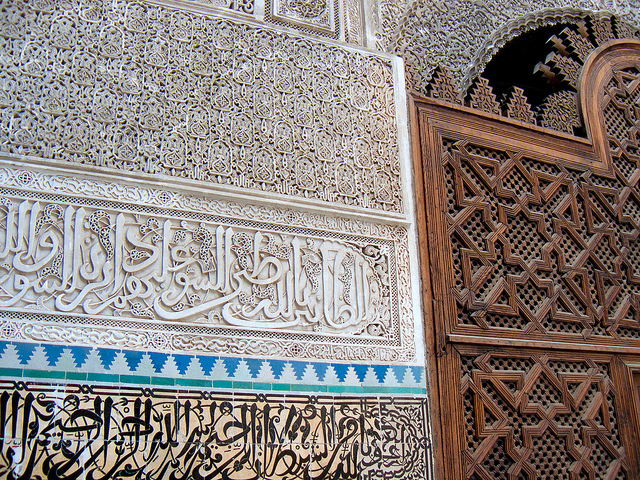 Many other madrasa sprang up in its immediate vicinity, including the 13th-century Saffarin madrasa (intended mostly for students from southern Morocco) and the 14th-century Al-Attarine madrasa. Both had elaborately ornamented courtyards and public spaces, but plain, overcrowded student accommodations. 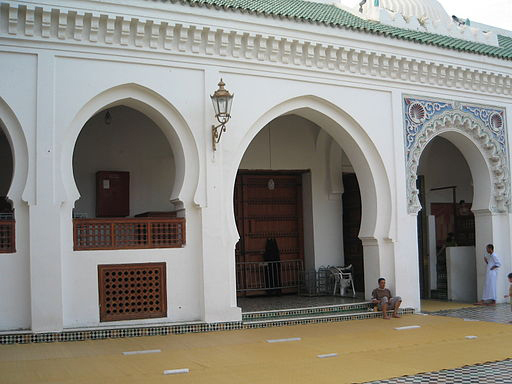 Al-Qarawiyyin still functions as mosque, library, and university, but UNESCO’s preservation of the Medina prevents physical expansion at the original site. 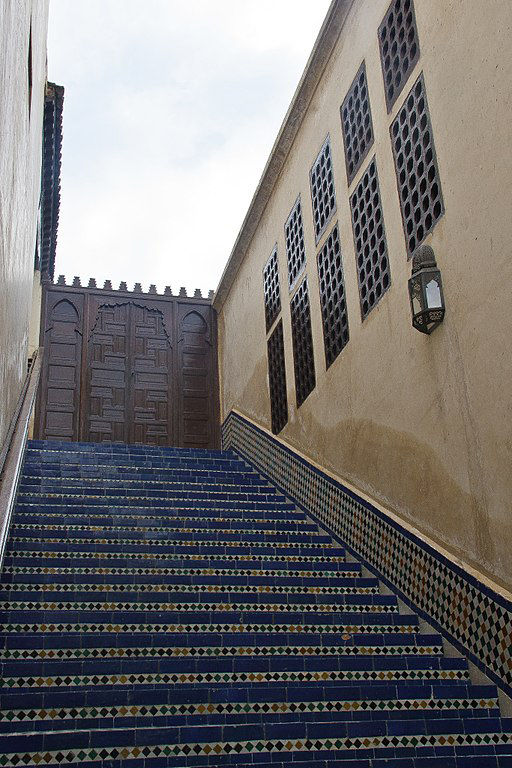 Today the university has four other Moroccan campuses: Agadir covers Sharia law, as does a second location in Fez; Marrakech is the center for Arabic Language Studies; Tetuan houses the Faculty of Theology and Philosophy; and the original madrasa is the site of Islamic education. 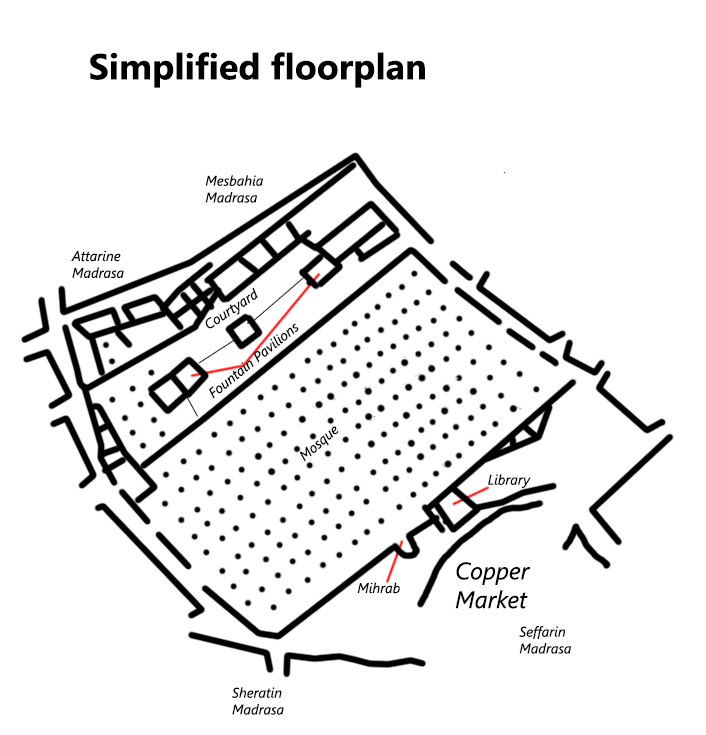 Simplified Floorplan of Al-Qarawiyyin: As the diagram shows, the mosque itself is a hypostyle hall, crowded with columns. 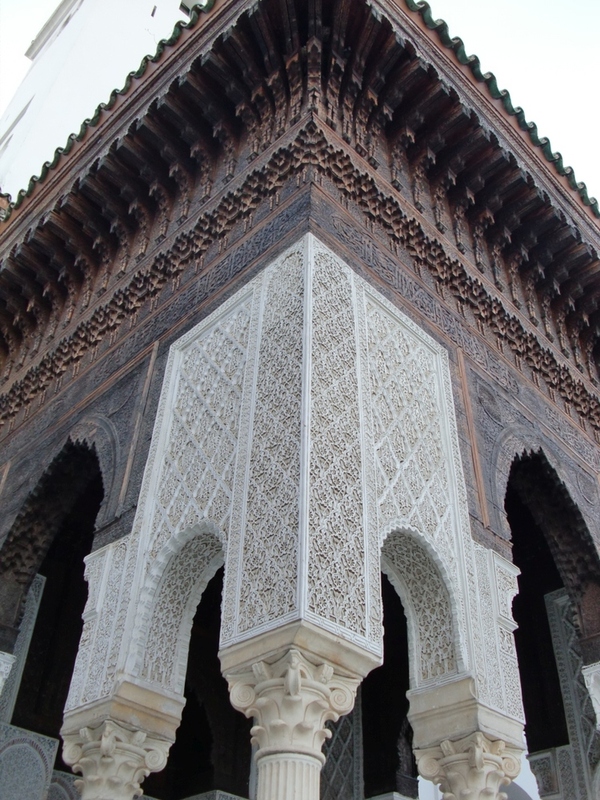 The enclosed space is larger than the open courtyard, a pattern also found in Moorish Spain. 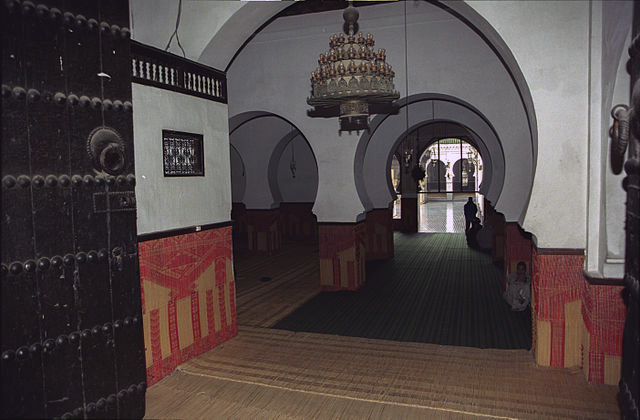 ~ Source: http://www.akdn.org/architecture/project/rehabilitation-of-al-qaraouiyine-mosque ~ Creator: After plan created by Ministère des Habous et des Affaires Islamiques, Direction des Mosquées/Mohammed Fikri Benabdallah. 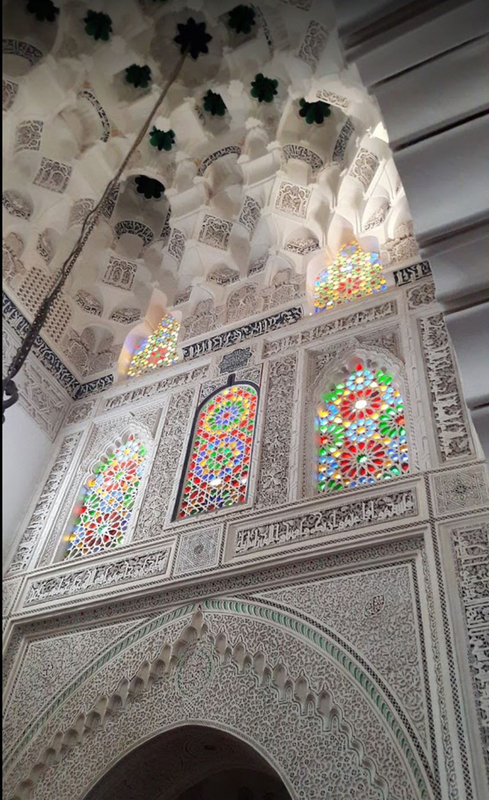 Tatiana Fry, Cleveland State University and Kathy Curnow, “Al-Qarawiyyin,” Bright Continent, accessed April 20, 2019, https://access.thebrightcontinent.org/items/show/28. Garofalo, Vincent. "A Methodology for Studying Muqarnas: The Extant Examples in Palermo." Muqarnas 27 (2010): 357-406. Holden, Stacey. 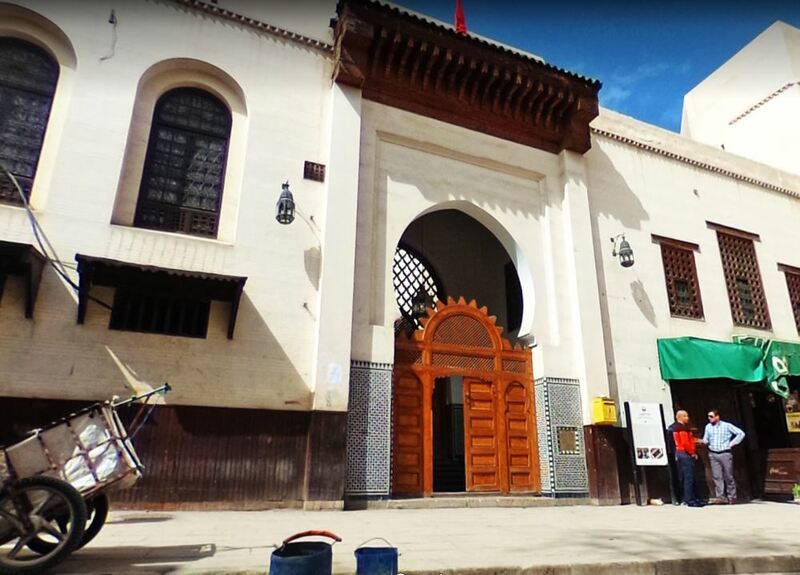 "When It Pays to Be Medieval: Historic Preservation as a Colonial Policy in the Medina of Fez, 1912–1932." The Journal of the Historical Society 2 (2006): 297-315. Tabbas, Yasser. "The Transformation of Arabic Writing: Part 2, the Public Text." Ars Orientalis 24 (1994): 119-147. Published on Dec 27, 2017. Last updated on May 25, 2018.